Discussion in 'Modding and Hacking - Consoles and Electronics' started by Nully, Feb 13, 2019. 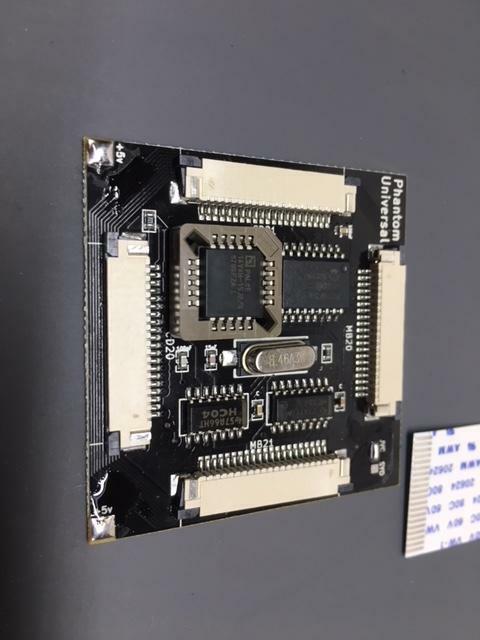 In this tutorial I will teach you how to install a Phantom Universal modchip for the Sega Saturn. 1. 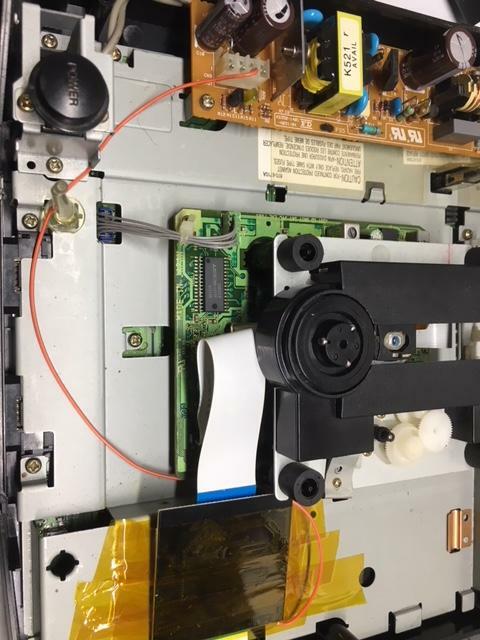 If your Saturn's CD drive is a 20 pin then you don't need to bridge either pad. Bridge the middle pad and SYO on the top right if your board is a Sanyo. If your Saturn has a JVC drive, bridge JVC and the middle pad. Solder your wire to either 5v pad. 2. 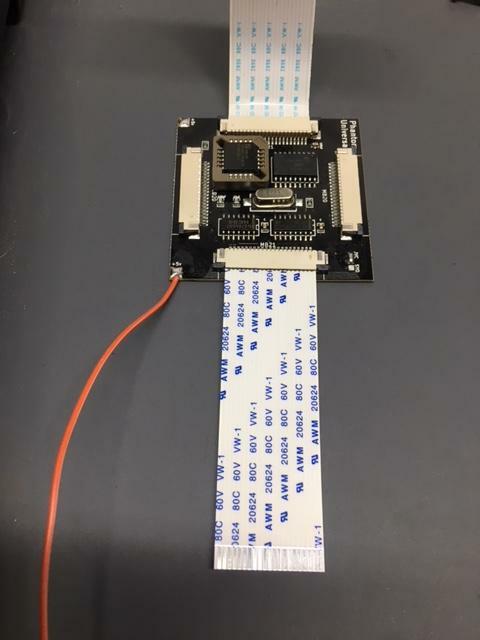 Install both ribbon cables with the metal pins facing up into the Phantom chip by pulling out the connector tabs then sliding the cable in and pressing the tabs down carefully. 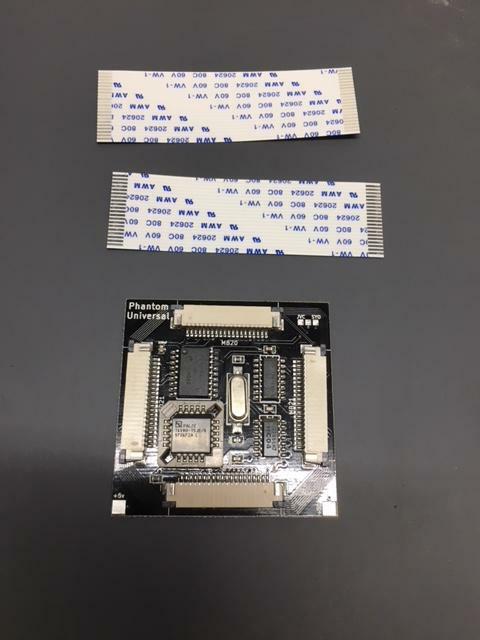 Take note of the two included ribbon cables, one is 20 and the other is 21 pins. Line them up like this to see which you need (20 Model 1, 21 Model 2). I use the smaller cable to the motherboard. 3. Make a bed from insulation tape like this so you don't short out the chip on the metal shielding as some revision have it so the chip is upside down. 4. 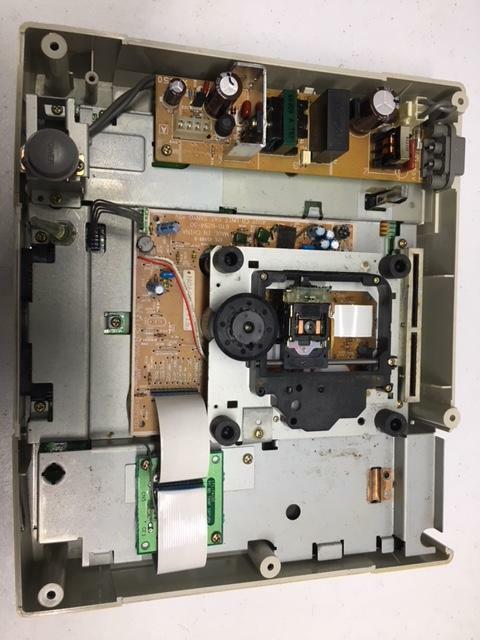 Insert both ribbon cables into the motherboard and CD drive. Solder your wire to 5v on the power board, if you're not sure check with a multimeter. You can use whatever source of 5v that you want, but I do this so it's easy to fix if it ever comes loose. Give it a tug to be sure it's secure before reassembling the Saturn. 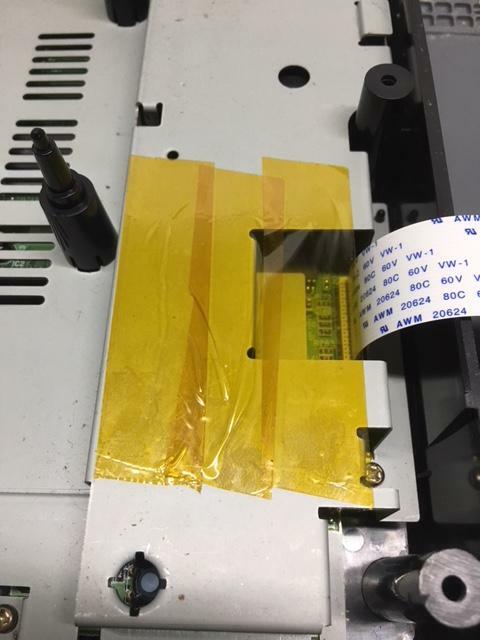 Use some sort of tape to secure the chip down, typically I would use something else, but all I have on hand is kapton tape, it's not going anywhere once the top shell is on. 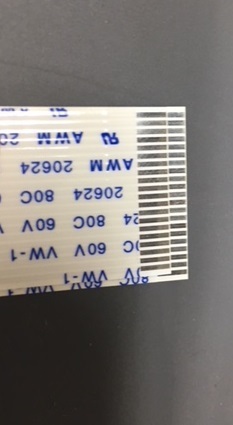 You can use double-sided tape if you have the other board revision where the Phantom isn't upside down. Tuck your ribbon cables down within reason of tension on the ribbon connectors. You don't solder any jumper for 20 pin machines. You also don't just use jvc for all 21 pins. Also, "model 1" and "model 2" isn't a good way to identify a saturn. You can get model 1 shells with 21 pin drives in them and vice versa. Pretty sure you don't solder any jumper for 20 pin machines. Does this apply to NTSC consoles as I have never come across a Sanyo in a model 2 console and I've opened probably 100 or so of them. That's the one with the trap board correct? I rarely touch model 1s so I'm probably wrong, been awhile since I read the instruction manual. I'll make an edit! I also made an edit. Sanyos are a lot less common, but are in "model 2's" not sure about them being less common in ntsc machines. As I have only ever had a hand full, rest have all been pal. Hmm, guess I was mainly going by experience as I haven't ran into any of these variables yet but I have edited it with the correct information. Thanks for the clarification, was waiting on you to chime in. Think it's the only one I've ever come across and the drive is completely dead and I couldn't figure out why. Seem quite a few sanyo’s in mk2 jp Saturn’s and they always seem to be more unreliable from my experience. They also come with and without trap boards. I actually decided to do a bit more troubleshooting on that junked one I posted and it has a very strange quirk (gears aren't missing any teeth, it won't do anything at all) that it won't engage unless I tap the pickup, then it'll move down the track and read. It won't attempt to read or move until that. I completely disassembled it and cleaned/lubed it and it still has the same issue and it struggles to read discs anyway. The trap board power connector broke so I had to wire it straight from the trap board to the underside of the laser assembly (pin closest to CN3 on the topside).